There are homes that you know. Stone Manor. You know this place. You know the Driehaus property and the Wrigley cottages. You know where the Pritzker’s live at their Casa. You know lots of houses, and you know this house, too. It’s big and it’s white and it’s by Stone Manor and if you’ve walked the shore path, well then you know it. There’s nothing wrong with knowing houses, because we all know them and we all pride ourselves on that knowledge. It’s hard for me to break this to you, but I know more houses than you. And I know this house, because I’ve been in it and I’ve seen it and it’s been for sale before. That’s why I’m not going to introduce this new listing to you today as a house that you don’t know. I’m introducing it to you as a house that you already know, but you likely don’t understand. To be fair, I didn’t understand it either. It’s a huge house, massive, really. Too big for most, but somehow probably too small for some. The lot is big, but not overwhelmingly so. It’s just under 4 acres, with 160′ of frontage, so it’s large enough to be estate sized but not so large that you’re left wondering what to do with all that land. It’s close to town, so close you can walk there without first considering your footwear, but not so close that you hear the busy hum of the tourist choir. It’s private. Exceedingly so. Terrifically so. Yet it’s close. The sun sets in the West, this we know, and this house faces west, this we still know. The pool is lakeside, facing west, which is how a photograph like the one above can happen. The thing is, it’s not a rare picture. It’s not hard to take or hard to time. You just need spend any old evening at this house and wait for the shadows to grow long and the sun to dip over that western shore. 700 South Lakeshore doesn’t have to try very hard to be unique, it just is. But of the house, past the gate and past the tennis court and not yet to the pool and the pier, the house. It’s a big house, big enough. It was built in 1996, and judging from my Senior Year yearbook the style in 1996 wasn’t exactly what you see today. The house is somewhat dated, with cherry where there would now be oak, and tile where there would now be marble. The thing about this house is that someone could buy it today and move in tomorrow and be remarkably happy. Or, someone could buy it today and do a surface remodel tomorrow and by next summer they’d be even happier. Would you rather remodel an old house, or a newer house? The question is as most of the questions here, not specifically meant to be answered. This is a special property in a special location, and I know it now more than I ever did before. I know it because I spent three hours at the house last week with the videographer, making this video that you see here and watching that sun fall to the west. I sat on the covered porches, which are among the finest covered porches on this entire lake. I lounged on the poolside chairs, delighting in a pool that faces the lake in such an unavoidable way. I thought about how that walk into town is so short, so easy, and how the pier is sturdy and white and the landscaping a mirror of perfection. I thought of the gate and the tennis and the densely wooded grounds, and how the privacy was equal to the privacy I might find off some skinny drive in some middle section of Linn Township. And then I thought about this house, how I thought I knew what it was all about but that I really had no clue. It’s $6.495MM, it’s light years below replacement cost, and it’s available today as my newest lakefront estate listing. Within the South Shore Club, there are several market segments. First, the homes up front. The homes on the water. Those are the kings of the SSC. There are four homes that play that way, and those homes have demonstrated that they sell at premium prices. Then, the second tier homes, those from the lake to the pool, but not behind the pool. Too close to the pool isn’t ideal, so you’d like to be close but not too close. The difference is subtle. Then, behind the pool. There are normal lots, and one special lot, but mostly the behind the pool properties fall into their own segment. Then, finally, the homes on Forest Hill Circle. Those homes lack lake views of any real variety, and so they generally sell in the $1.5-1.9MM range. I have the only vacant lot available in the SSC listed there, and I just dropped the price to $598k. If you’re interested in building in the SSC, that’s your chance. But if you don’t want to build and you don’t want to have a limited lake view, and you don’t want to be right on top of the pool, you’re in luck. 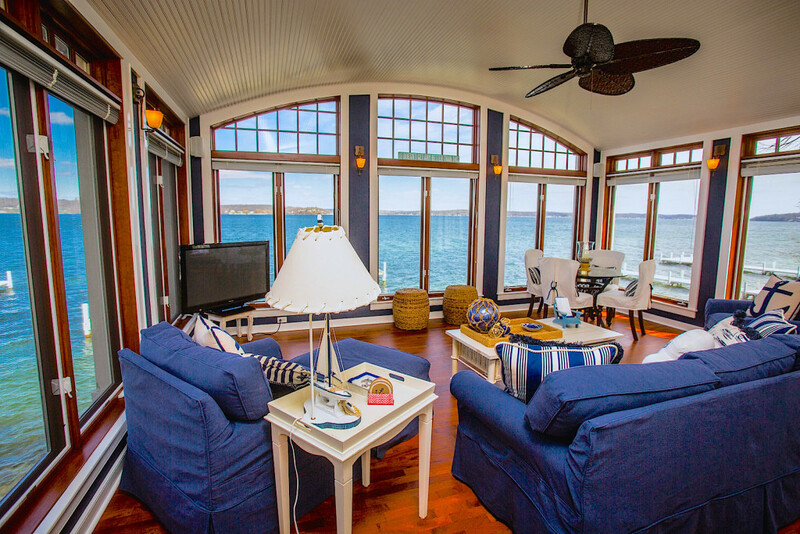 N1592 Lakeside Lane is on the market as of yesterday, and my newest vacation home listing offers a multitude of benefits for the $2.99MM asking price. First off, you’re in front of the pool so the view is rather divine. Secondly, you’re close to the pool, but you’re not too close. This matters. Thirdly, the house is pretty huge at 7700+ square feet. It’s wide and it’s deep and there are all of the rooms you’re expecting and then a few extras. 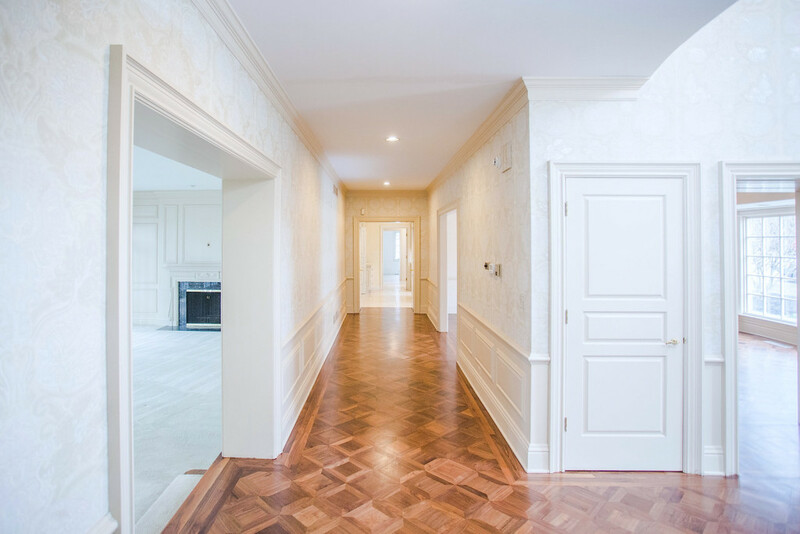 It’s long been known that the South Shore Club offers superlative finishes, but there are several homes that do not stack up to the original, more ornate, more luxurious builds. This home is as ornate as it should be, as luxurious as you want it to be, and positioned in exactly the right spot to find some favor with the market. 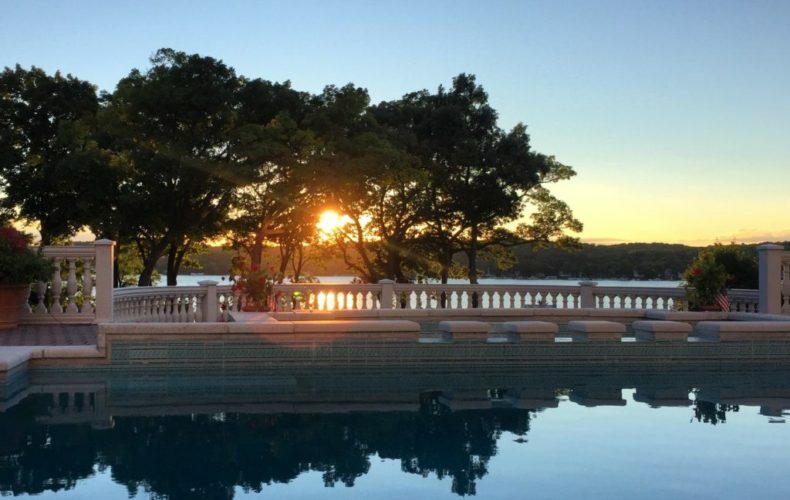 If you’re unaware of the South Shore Club’s rich list of amenities, a recap for you. Boats, they’re included. There are lots of them and they’re nice and when you’re an owner here you just reserve one for the day and time you’d like it, and then you go for a boat ride. There are dock hands (the only context that calling a pier a dock is acceptable, by the way), so if you’re a novice boater you have plenty of help with the process. There is a swim pier, a dedicated, quiet pier, far away from the boats, so if you want to indulge Geneva Lake in the way that it prefers, you can jump right in and swim. If you’re less inclined and need the chlorinated comfort of a pool, the South Shore Club has you covered. There’s also a fire pit with grill area for parties, a tennis court and playground, and in the winter if the weather is right you can ice skate on their association rink. Also included in the dues is your lawn and driveway maintenance, making ownership here an absolute breeze. The market has, over the past 24 months, eliminated any doubt about the future of the club, leaving behind a normalized market that lines up nicely with lakefront inventory. In the SSC you can buy a home for $2.99MM that would cost $4MM or more if set on even a 100′ lakefront lot. If you’re in search of a lakefront home and you’re disenchanted with the inventory in the $2-5MM price range, consider this new listing. 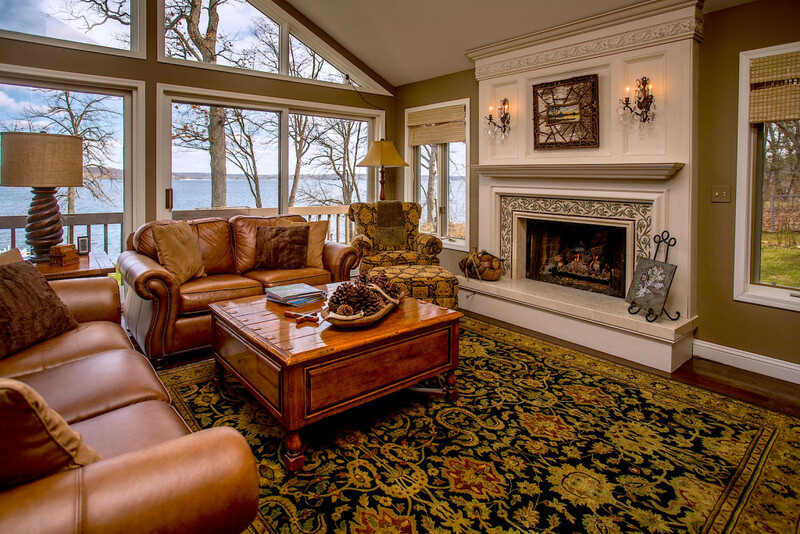 High attention to detail, enough space for everyone, and a view that rivals that of most private lakefront homes. 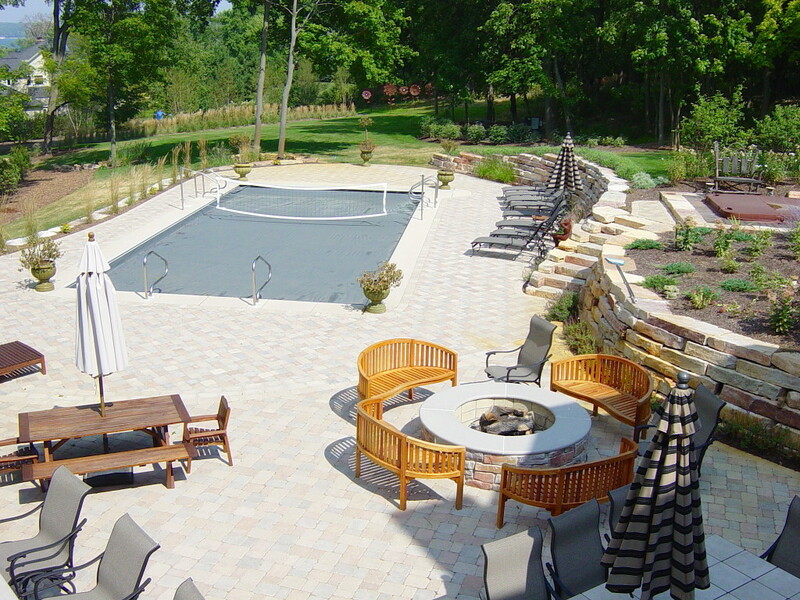 Pack this into the amenity blessed environment of the South Shore Club and you’re set. This lake is lined with $15MM houses. There are others at $20MM. Some, still at $12MM. Several at $17MM. There are estates that the owners likely value at $30MM. Some will say they are priceless, which we know is untrue even if it is a nice thing to say about something. Everything has a price. And on Geneva Lake, the trend has been cemented: Build for $20MM, but rarely buy for more than $8MM. Buy land for three or four or five or six, and then build without restraint and without pause. The while we’re at it numbers add up and the time wears on. Summers are lost. When the house is done, the grounds landscaped, the last hydrangea dropped into the last hole, the tally feels immeasurable. But it isn’t. It’s measurable, it’s quantifiable, and it’s a number that would make every personal accountant cringe. While it makes sense to buy vacant land and build with some measure of restraint, this has not been the trend. The trend is to fill a lake with $15MM homes even though the lake cannot, and likely, will not, ever support that value. On Pebble Point, there is a home. It was build just a few years ago of slate and stone, the exposed timber and gas lanterns lending an architectural style rarely executed with this level of perfection. 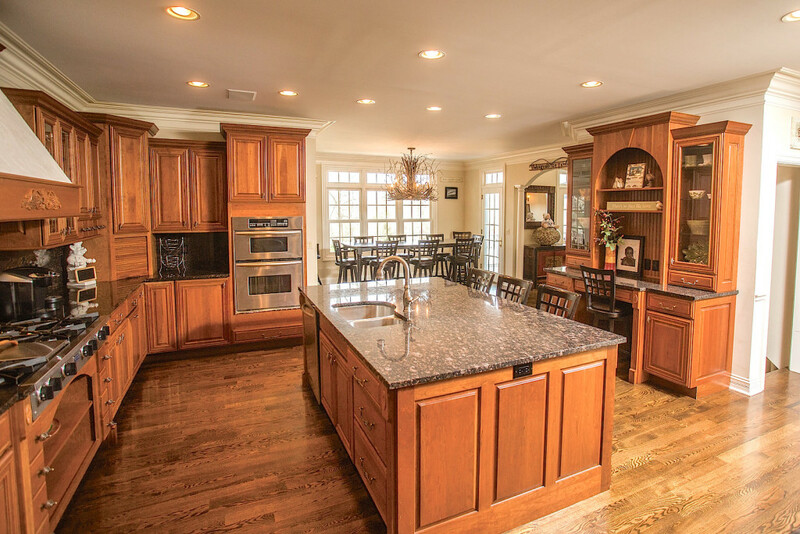 Inside, quarter sawn oak has been made into floors, trim, doors and so much custom cabinetry. Onyx and marble and quartz grace the counters and floors. Fireplaces, seemingly too many to count, each of limestone and formidable masonry. The house is a beautiful house, no one could argue this. But this isn’t a big house built on some normal property- this is a beautiful custom home built on 3.3 wooded acres culminating with 224′ along the water’s edge. This is the rare combination of estate land with an estate home, and it’s available today as my newest listing for $9.95MM. There is little in this home that isn’t pleasing. The layout, it’s divine. 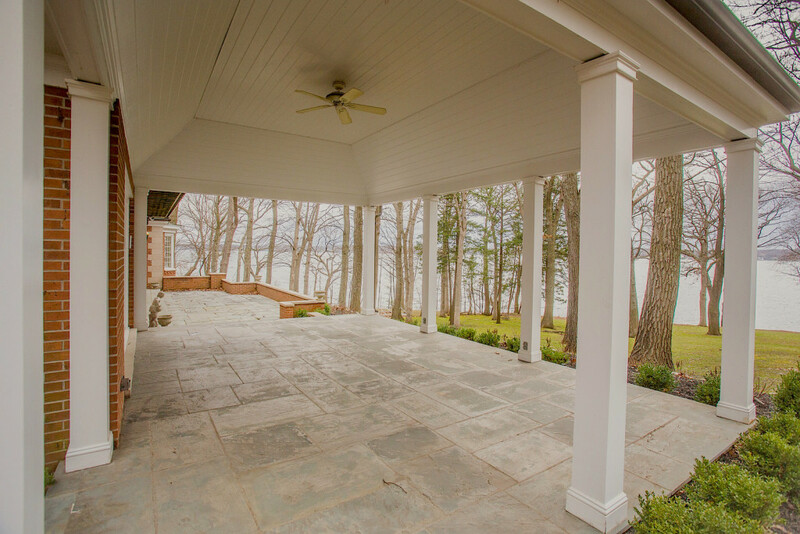 The exterior spaces- those bluestone patios and that lakeside screened porch- scaled exactly and as comfortably as they should be. 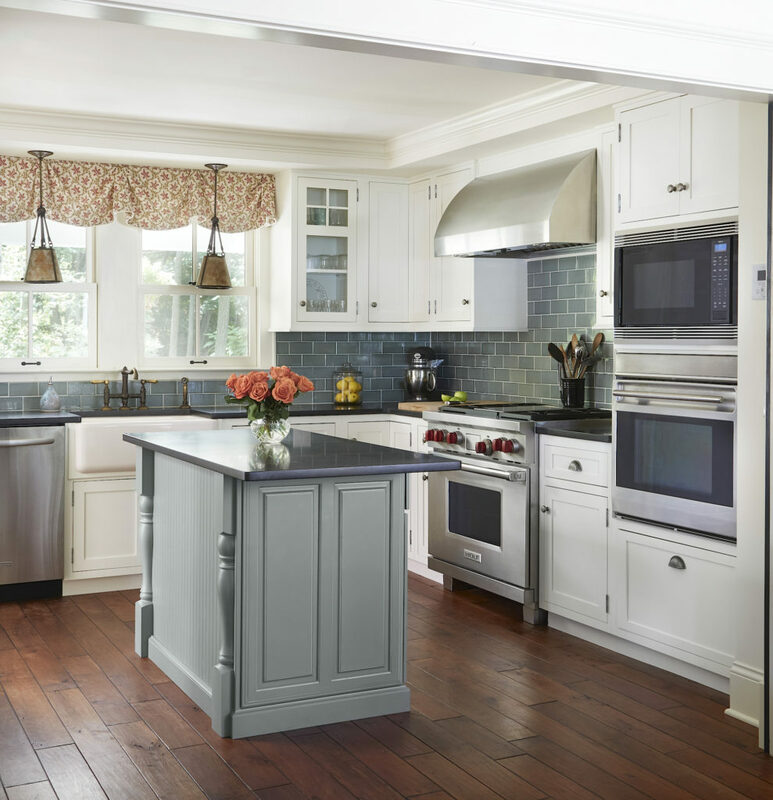 The finishes are the new luxe, that mix of traditional and modern that lends a freshness to an otherwise traditional aesthetic. Think sleek finishes in natural materials, decorated simply but with high quality everything. 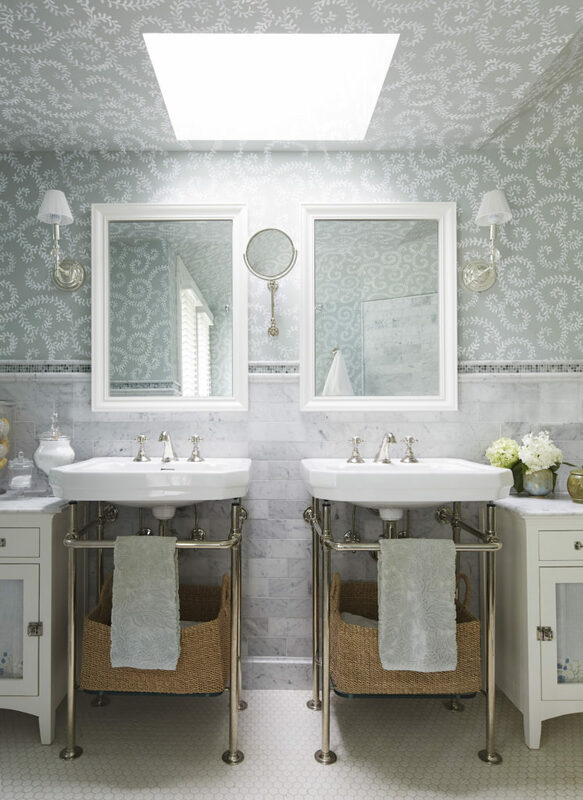 The light fixtures are playful yet bold, fun and modern and appropriate at once. 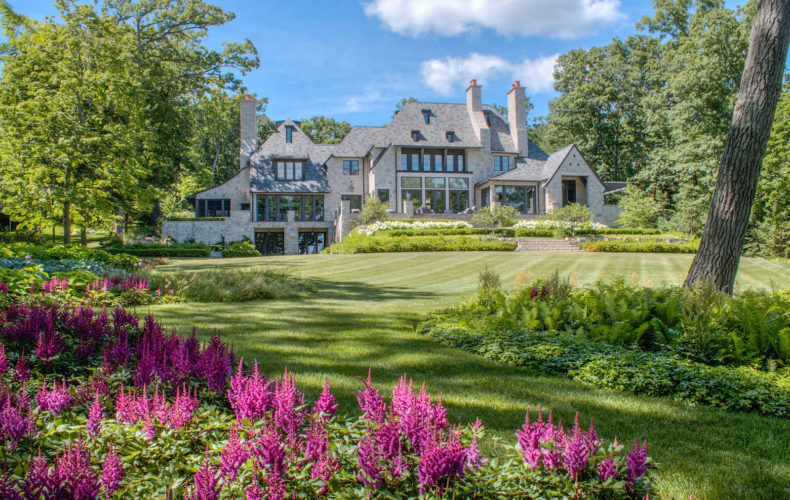 The house is the brain child of renowned Chicago architects- a group that has drawn this and two other marquee homes on Geneva Lake. But I’m not going to go on and on, even though this is admittedly my tendency, I’m just going to leave this video here for your viewing pleasure. The home fits this lake, it fits the market, and it makes perfect sense for any buyer seeking to build new. Why build new and spend $15MM on something that won’t be as nice as what I can sell you for $9.95MM? I was the first broker to try my hand at selling the new Harbor Watch condominiums on downtown Lake Geneva’s waterfront. I believe the year was 2002, because I was at that building for an open house when my wife called to tell me she was pregnant, and my son was born in 2003. So let’s assume it was 2002. The market back then was humming, the sky, some wondered, was it really even the limit? The market was ready for new things, for bold things, and with condominiums listed in the million dollar range, we were offering both. I hung on to that listing for a year, maybe less, maybe more, and I didn’t sell any of them. Buyers wanted fireplaces (we had none), they wanted more privacy (we had little), and they wanted to pay less (not happening). We offered a product that the market wasn’t ready for. During the two or three years that followed my listing tenure, the building sold out, at prices less than we had originally wanted but still, sold. The market caught up with the product, and the product made some price adjustments to hurry up the union. Last year, I introduced Lakewood Golf Estates to the market. There was some initial interest, some slight interest along the way, and then, over the winter while the project sat off market, some more tepid interest. There was interest, sure, but no one bought anything. In that, I failed the development because the market didn’t respond. Late last year, just before the listing was to drop from the market to refresh, we made a bold price shift. Lots that were $450k would now be $250k, and in that, the developer listened to what the market had been telling us all season. We were priced too high, too soon, it was just too much of a gap between the market’s expectation and our price point. Today, I’m bringing Lakewood Golf Estates back online. The prices are reflecting those huge discounts to last summer’s ask. The development is one year older now, the trees one year stronger, the gate now nearly completed. When you ask a buyer to envision something there is always a risk. The buyer might envision something different than the developer, different than the agent, and in that interpretation of what might be, a sale can be lost. Now, we’re back, we’re done, and we’re ready to sell these lots. There are just 16 lots in total, which you’ll recognize as being a reasonably low total. I’m anti- mass development, as everyone by now knows, which is why this development fits my eye so well. 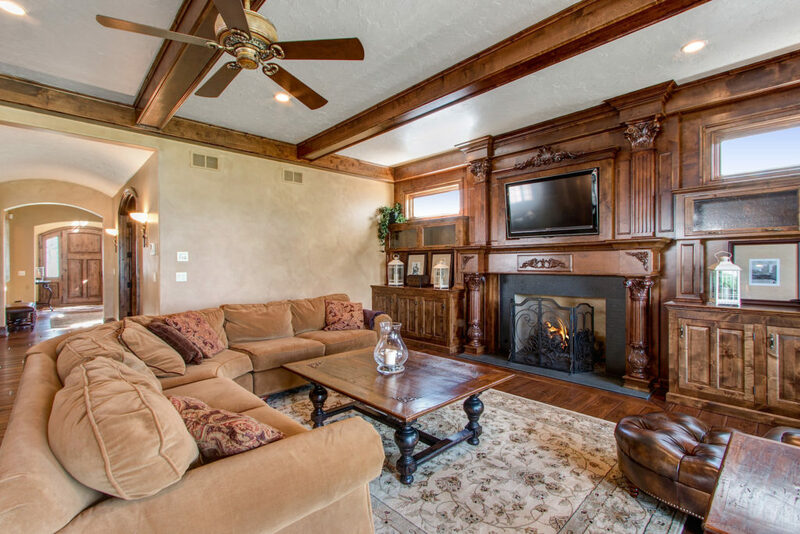 It’s small, it’s exclusive, and it’s representative of the type of properties that vacation home buyers wish for at Lake Geneva. To recap what we have here, it’s a development on a golf course, but that’s where the similarities to golf course developments begin and end. The golf course here is the private, member’s only Lakewood, where there will be a maximum of just 50 members allowed (per current membership information). The course is a full 18, and it’s complicated and simple at once, with the 75 acre private lake playing a large role in many of the golf holes. I’ve played the course often, and have set a course record for most balls lost, which is better than not owning a course record at all. The golf is good, but that’s not all we have. There’s a private, member’s only clubhouse, and access for owners to board horses in the on-site barns. We have pastures galore, and one needn’t be a horse lover to appreciate the way a grazing horse swooshes his tail on a summer afternoon. The lake itself is an attraction, too, with 75 stocked acres that kids and adults alike will find pleasure in fishing. It’s a great lake for practicing sailing in small scows, and for paddle boarding and kayaking and canoeing, etc and etc. If you took a flier on this last year but didn’t like our pricing, come back for another look. It’s a unique development minutes from downtown Lake Geneva, and I’m of the opinion that the prices are finally correct. If you’d like a private tour that includes a round of golf on the house, let me know as I’m happy to oblige. Increasingly, buyers build what they want, where they want, oblivious, either ignorantly or happily so, to the fact that their build is pricing them right out of the market they’ve chosen. This happens on the lake quite often, but it doesn’t matter. 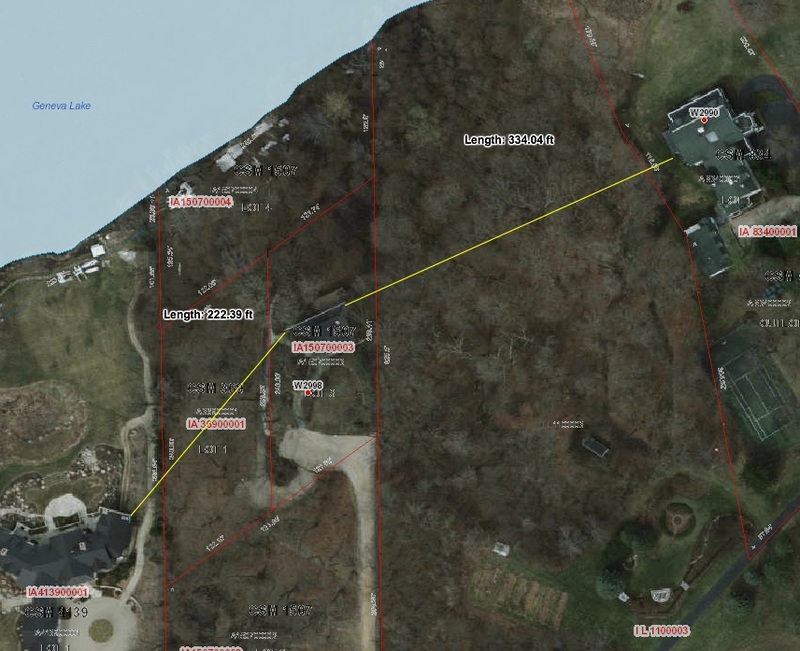 If you’re a lakefront buyer and you wish to build a $12MM home that you might someday wish to sell, it might not matter that you’ll only get $8MM for your home. 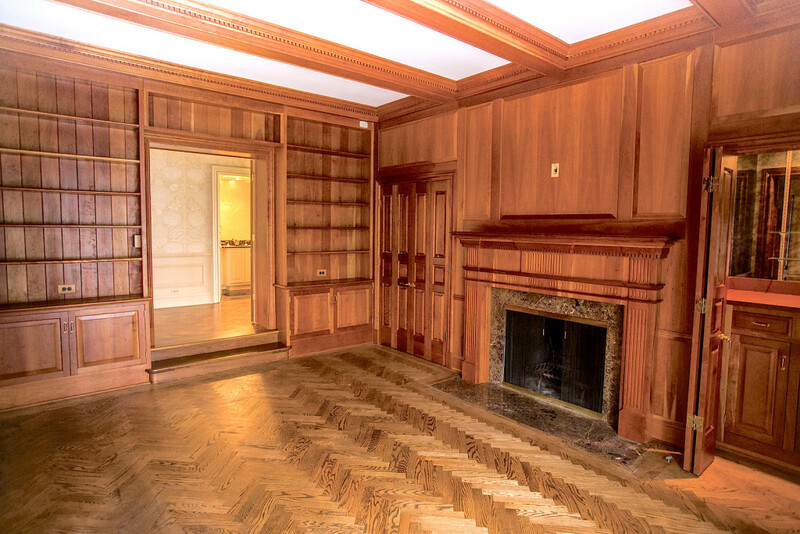 There was a recent article in the Wall Street Journal on this topic, and to spare you the click, it basically explained that if the super rich want a $2MM workout room, or a $1MM master bath, then that’s what the super rich get. In the same way, wealthy folks might buy a yacht for $20MM that they’ll someday trade in for $7MM, assuming they’ve kept good care of it. This is why the super rich can do what they please; because it just doesn’t matter. But when you tear down a home in Cedar Point that you paid $300k for, this should be something we first think about. If $300k is the land basis, that’s fine, assuming you’re on the parkway or somewhere otherwise special. If you’re in the back of Cedar Point, that’s nice, but that’s not a location that I’d like to cement $300k in land cost. Then, with $300k locked, you build the home for another $400k. It’s a nice enough home, after all, and those marble counters aren’t free. When the house is done your neighbors gather and everyone gushes. They might not have done that black tin ceiling in the kitchen with those red accent walls, but still, they applaud your remarkable, or at least memorable, sense of style. You’re proud, but you’re also $700k into your home, so when you come to me to sell it I’ll get to deliver the news: No one feels like paying over $500k for a far off water home in Cedar Point. This is why we have to be smart, and we have to be aware of our surroundings. 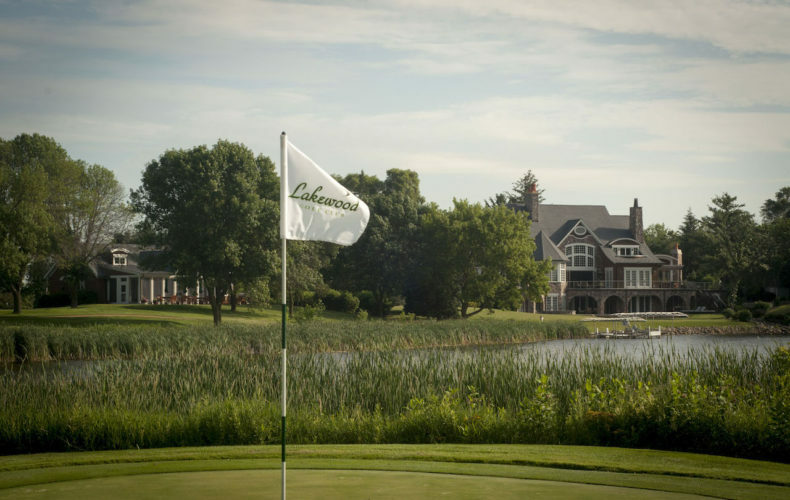 The South Shore Club might have a higher price point than most associations around the lake, but the theory remains. Take into consideration your surroundings and build accordingly. When I was selling the vacant lots in here like so many free hotcakes, some existing owners were none too pleased. Why would I undercut the market like that? How dare I! But what they didn’t realize was that the market dictated those vacant lot prices based on the ability to resell the built inventory. When I sold a built home near the pool for $1.8MM, how could the lot next door be worth much more than $500k? If the home cost $1.2-1.6MM to build, the vacant lot couldn’t really be worth $1MM anymore. The market set the prices and we responded accordingly. The result was a market that has since benefited tremendously from market based pricing. Today, I have another vacant lot in the South Shore Club coming to market. It’ll be available next week, but because you’re smart and aware, you know about it today. 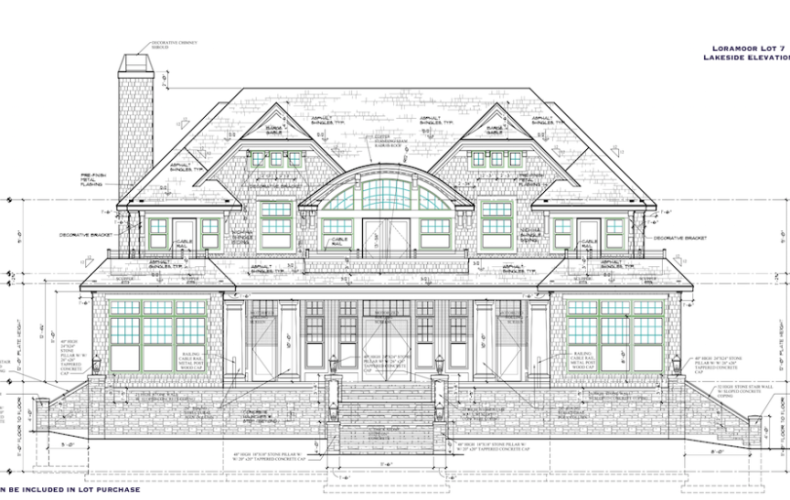 The lot will be priced at $649k, and it’ll be the only lot available in the South Shore Club. Because it’s the only lot available, some owners would like to think the lot could be worth $1MM. It’s the only one available! If you want to play ball in this stadium, this is the price you’ll pay! If you can’t afford it, look somewhere else! These are the utterings of sellers who don’t understand markets. These are the words of sellers who would rather price something at an unattainable level because they have failed to separate their intense love of their own property with the actual conditions affecting their property. I don’t like sellers like that, but I like sellers like this one in the South Shore Club, because our pricing, even when offering something that is otherwise unattainable, makes complete market sense. So there you have it, the South Shore Club, back in play. If you thought you missed it, you didn’t. Get in now. You could buy some existing house in the South Shore Club, sure, in some boring location with some odd features and strange this mingled with absurd that, or you could buy this lot and make your own retreat. If you love huge master suites, go for it. If you need a dedicated ping pong room, who am I to argue? If your wife needs a quilting room because she quilts, so does mine! Once, for a few minutes. Whatever your aim, bring it here. To the South Shore Club, where I’m offering you a mulligan. I can’t imagine a life where I am forced to sell terrible real estate. Real estate itself, the business, is bad enough, but if I were forced to sell things that were ugly or otherwise horrible, I shudder to think of that life. Somewhere, in some town, right now, a Realtor is waking up to his schedule. He has six showings today, all properties in the $90k range, because $100k is just too much. If he’s lucky today and he sells one, in two months time, after working through the inspection issues and considering the lender hangups, he’ll close on that $88k sale. If things go well, he’ll make a paycheck of $2112. Then he’ll split that gross with his office, and he’ll walk away with $1372.80. They won’t round up. He’ll pay taxes on the income and when all is said and done, he’ll have a little change in his pocket for some of that first morning, before the check is spent and he’s hunting down the next one. This is real estate in America. So yes, I’m lucky. 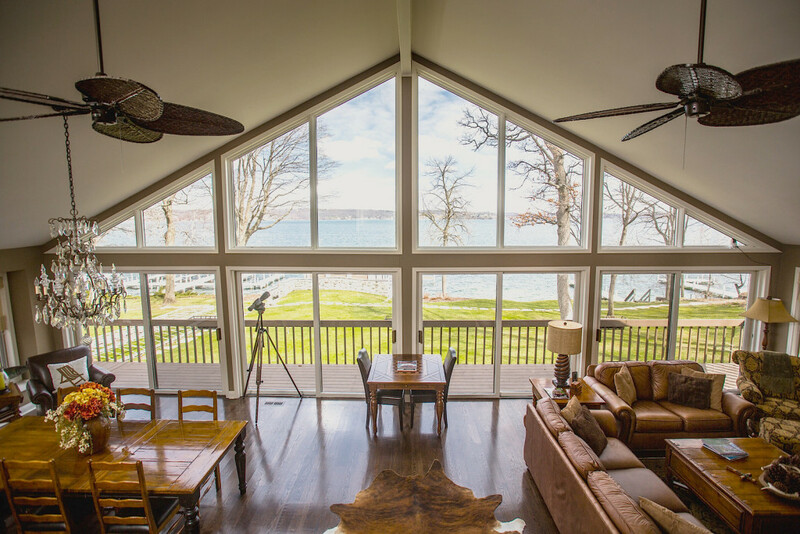 I’m fortunate to have a client base that owns some of the most amazing lake properties here, which are some of the most amazing lake properties anywhere. I have buyers that count on me to guide them through this inventory, and I have other buyers that I haven’t met yet who are reading this and should, as of pretty much right now, make an introduction so I can help fix their summer. But in this mix of lakefront and lake access properties there are other things that I do as well. Not things that I do often, nor things that I do particularly well, but other things. That’s why I brought over another agent to work with me on these other sorts of properties that haven’t, until now, been right for me. Vicki Hansen is my new licensed assistant, and she’s here to help with the condo buyers and listing projects that I’ve previously been poorly servicing. She’s nice, so if you’d always thought about working with me but then thought, sheesh, this guy seems like a super huge jerk, then email me anyway and I’ll let Vicki work with you. With the addition of Vicki I’ve been able to add some off-water inventory that I find interesting. One such property just came to market yesterday, and it’s in the picture above. It’s called Simera, which means something, though what exactly I’m not sure. It’s a modern retreat overlooking the hills south of the lake, and it’s an absolutely dynamite house. A decade ago I wouldn’t have liked this house, I admit it. I would have thought it to be too modern, too unsymmetrical, too something else. But now I’m enamored with it, and Dwell magazine agrees. It’s a house that was designed by its owner, who is also a well known architect. 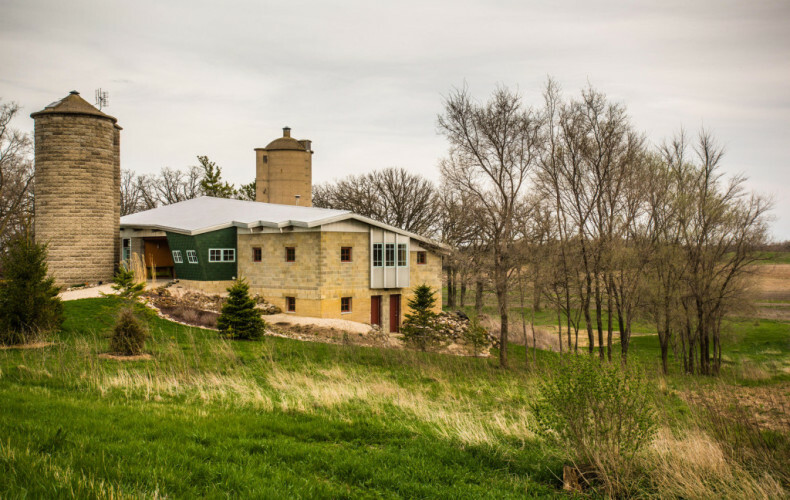 It’s a new house nestled in between two original silos, and in that, there is the mix of old and new, of conventional and modern. Of form and function. At $625k, it’s not expensive. 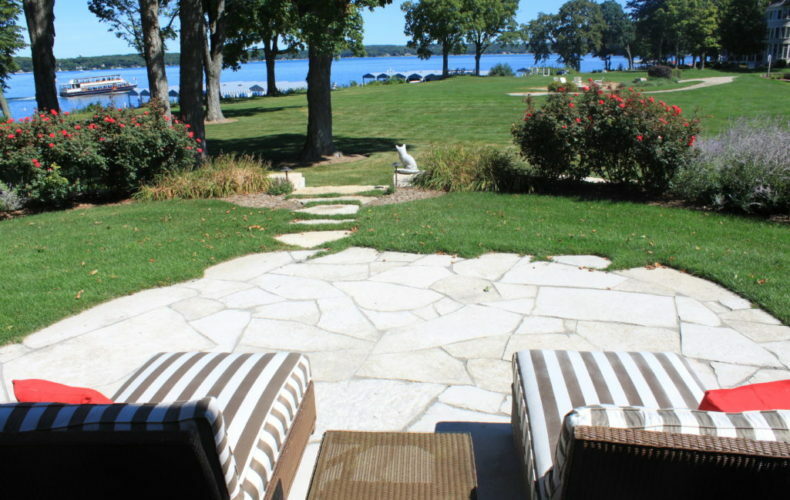 It’s a country property that’s just a few minutes to the lake, so someone could have their country retreat, with fields of wheat and beans waving in the distance, but still make a quick jaunt to the Lake Geneva Yacht Club for Friday fish fry. It’s both things, and it’s worth a look. Below, another new listing. This of a vintage four square in downtown Lake Geneva. The Maple Park District is just off the lake, and it’s home to many of these original Lake Geneva structures. This one is a brick fortress, with original details and finishes, updated with new this and that over the years. 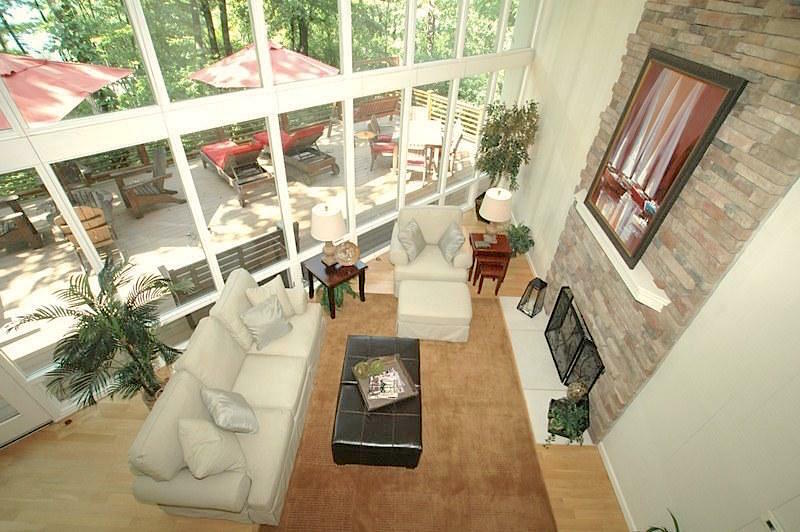 There’s a robust lake view, an easy saunter to town for morning coffee or evening appetizers. It’s a home for those who love vintage things, who find peace in the age of it all. It’s an exciting location, near town and across from the lake, but the perennial gardens that the owner has nurtured over the years has left this place feeling like an oasis in the middle of an otherwise bustling resort town. Consider this property at $699k to be a way to delve into our scene without completely breaking the bank. Below, something else. Something more affordable. 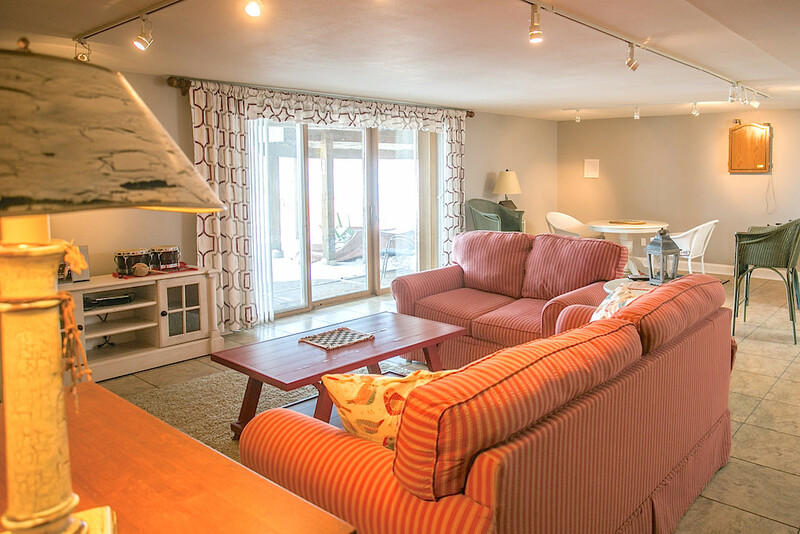 This four bedroom home on Jewell Drive is just up the street from Pier 290 in Williams Bay. It’s not fancy. It doesn’t have dedicated lake access. But it’s newer and nice and $289k, and you can walk to dinner and walk to the boat and walk to town and then, when you think you’re done for the day, you can walk somewhere else. It’s close to everything in the Bay, and that used to mean very little. But now, with the addition of Pier 290, you can walk there, and you can hang out there, and that place can essentially function as your lake access. 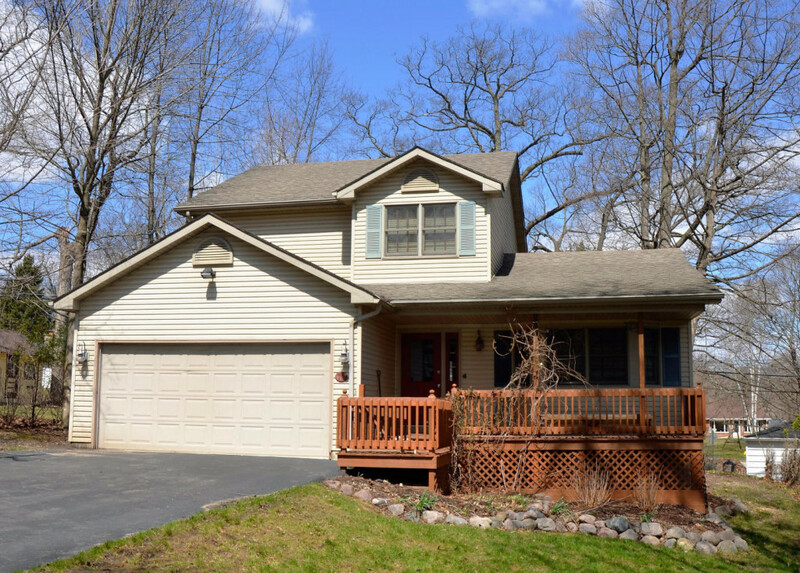 This is an easy house, with three finished levels, a private back yard deck, and that convenient access to all lake things. If you have friends in the Loch Vista Club, Oakwood Estates, or Summer Haven, that’s good, because this is wedged in between all of those associations and you can be close to those friends, without being on top of them. Below, another interesting bit. 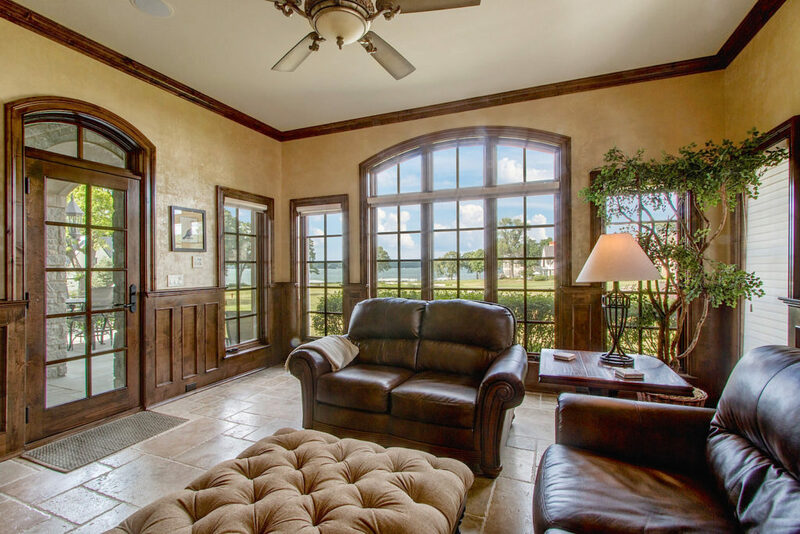 This property is just $549k, offering 5 acres at Black Point Farms. It’s super close to the lake, but possesses no dedicated lake access. The Owl Tavern is close, with their smoked meats both delicious and tempting. The house is large, the property ample, the opportunities endless. That’s not entirely true. There are ends to these possibilities. For instance, if you wished to open a Bed and Breakfast here, I could not help you with that. Otherwise, the opportunities for someone searching for a lake house that offers up plenty of room to breathe, those are endless here. It’s as these others, different but close, easy to join in on the lake fun but at the end of a lake based day there is a quiet retreat here waiting for you. 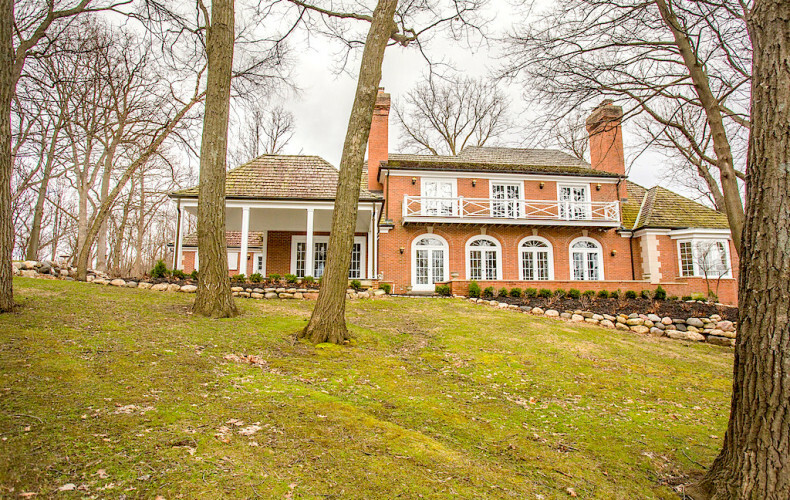 Five rolling acres worth on Maple Ridge Road. These are some of the properties we’ve been bringing to market of late, and as you can see, they’re varied, they’re interesting, and they’re all available for summer 2016. The thing about summer 2016 is that it’s right around the corner. Lurking, sort of, but really just standing there in plain sight. There’s no secret to this arrival. There’s no trick to understanding what’s about to happen. It’s just another summer in a lifetime of summers, but it’s the first summer that you can fix. If you’re reading this from a desk and you’re looking forward to brunch tomorrow morning, then your life makes me exceptionally sad. Any of these homes can fix that, and I’m here to help. It’s no particular secret that buyers like Fontana. If I have 100 lakefront buyers call me this year, there’s a strong chance that 75 of them may specifically ask to be in Fontana. Why this is I cannot be certain. I grew up in Williams Bay, to the north of Conference Point, to the south of Gage Marine. I pumped gas at Mel’s Gas Pumps. I pumped gas and forgot money, a condition that I only discovered once the last drop of gas was pumped into my father’s Boston Whaler. Mel was forgiving, so long as I hurried home and hurried back with the few dollars I owed him. I explored the wild woods of Conference Point, and climbed the bent and broken willow that sticks out at a difficult angle from the very tip of that point. 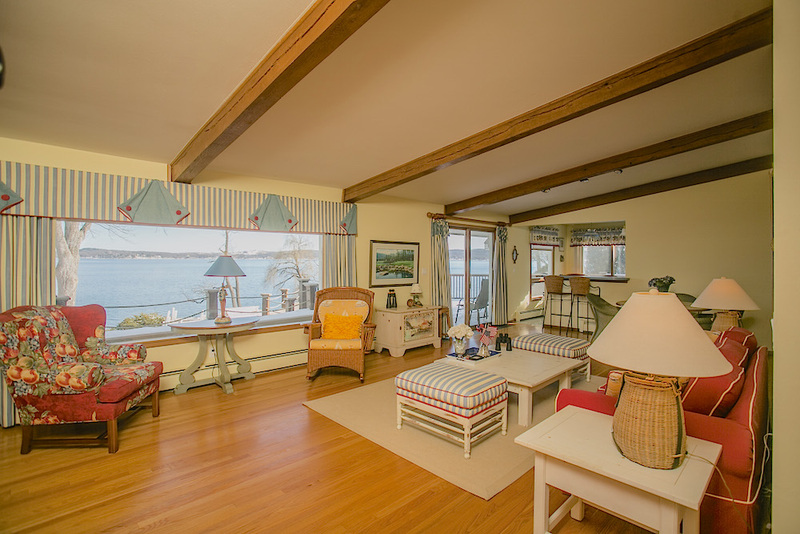 Because of this I am familiar with Williams Bay and that familiarity has blossomed into nostalgia and that nostalgia means I would be more inclined to buy real estate in Williams Bay than in neighboring towns. Fontana has, for eons, been home to many cottages. Glenwood Springs, Country Club Estates, Buena Vista, Indian Hills- these associations are loaded with homes, many of which used to be rental cottages. As a result of this, many would be buyers were first introduced to the Lake Geneva scene by way of Fontana. Chuck’s and Gordy’s played a role as well, with many first beers consumed at Chuck’s, and many first boats bought at Gordy’s. This prior familiarity is possibly a reason why people love Fontana. Or it might be the new streets, the new lights, the new beach house, the quaint and tidy nature of it all. For whatever reason, Fontana is king. 976 South Lakeshore Drive is just East of Fontana, just East of the original Westgate property, in fact, on the original Westgate property. The tell is the old (but fantastically and beautifully remodeled) cut granite boathouse tucked into the hillside at the water’s edge. The entry gate is of the same cut granite. The home that resides there is not old, rather it’s somewhat new in the context of lakefront homes on Geneva. 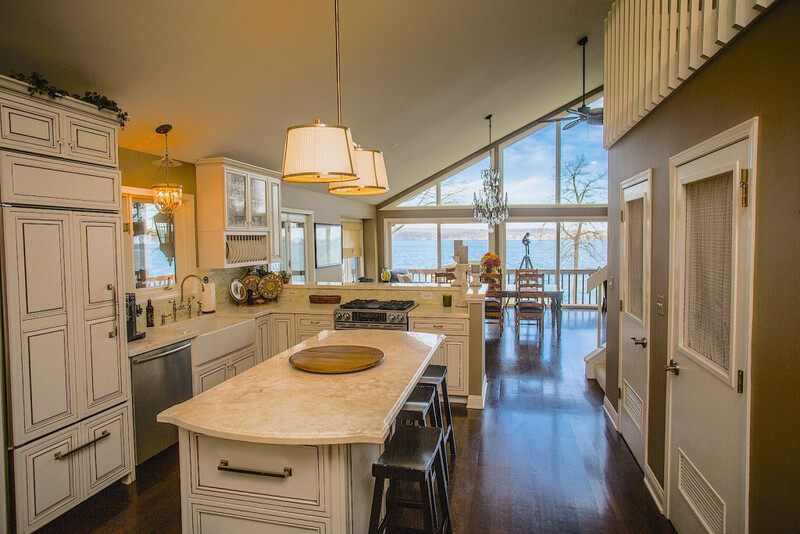 It has four bedrooms, high end bathrooms, an upscale kitchen, a huge lakeside deck, a screened in porch, and a most remarkable view of the lake. A view so remarkable, that upon deciding to list the home with me this week, the owner questioned her own sanity. Are we crazy to sell this? 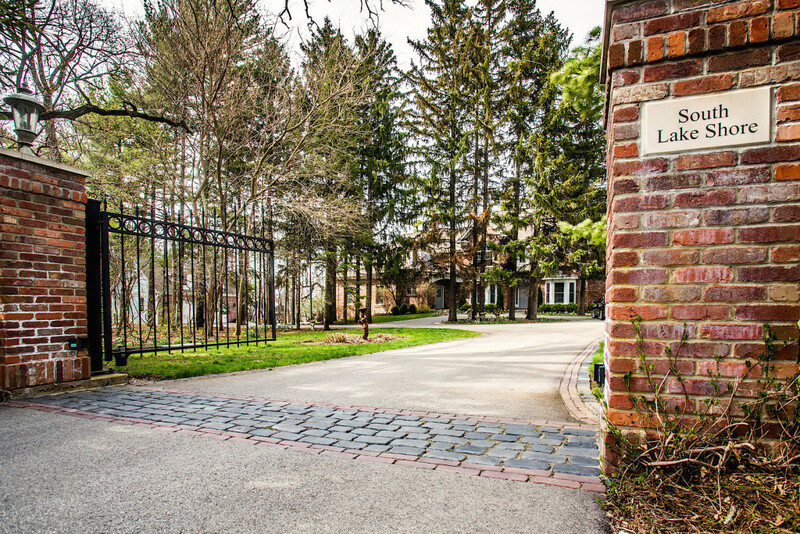 Today, 976 South Lakeshore is on the market for $3,395,000. The home is fresh, clean, updated and ready for summer. The boathouse is at home among the finest on the entire lake, perhaps the finest? The pictures prove the statement. The pier is large, two slips worth, and the frontage is wide, 142 feet of meandering flagstone shore path providing a clue as to the beginning and the end of it. Four bedrooms, four baths, a full boathouse with living area and storage, that huge wooden pier, that Fontana location, it’s all unique and rare, but that view, that view is the extra special bit. Elevated just enough, but not too much, this home is, as I mentioned, positioned adjacent the original Westgate home which means the homes to the immediate West are set back, far out of view. The result is a view that extends over that manicured lawn and all the way to the Fontana beach, then again back to the East all the way past Cedar Point to Black Point and beyond. Yerke’s and Conference Point fall in between. Now that’s a view. The home won’t be on the MLS until later this week, but today you know about it. You know about it because you have the good sense to read this blog, because you know by doing so you’ll know what the market is doing before the rest of the market does. I’m showing this home today, and I’ll be showing it this weekend as well. If you’d like to have the opportunity to own this piece of the lake, you’d do well to let me know. Here you can walk to Gordy’s for a lazy Sunday lunch, or walk to the Lake Geneva Yacht Club for fish fry. You could do those things, or you could just sit on that couch and quietly take it all in. When I was a kid, I’d walk to Gage Marine. It wasn’t far from my house, and so I’d walk down the shore path, across those green lawns, up those few rail road ties that worked as stairs, and I’d be at Gage Marine. The thing about Gage Marine then is that there wasn’t anything to do there. The pro-shop wasn’t so much a pro-shop as it was a place to buy those little leather pieces that hold together the eye of a buoy lead. Today, walking to Gage Marine is entirely different. Do I like the food at Pier 290? Not particularly. Do I wish the menu was better, the food better, the burger served on a burger bun? Of course. But for those wishes it would be hard for Pier 290 to be a better place. The restaurant space, the finishes, the scene, it’s all so very nice. And so walking to Gage Marine now is a worthwhile stroll, because there is food that can be eaten and a vibe that can’t be beaten. The other direction, I would walk to George Williams. The camp when I was a kid was old, neglected, uninteresting. There was the ability to order ice cream from some building on campus, as there is today, but that was about it. There was nothing else to do there. My brothers and I would explore the hills of Conference Point camp, digging into the earth that was exposed when the hillside gave way to erosion. We would find gold, or some rocks that were gold in color, which one we were never certain. But George Williams was there and it was boring even though the hills were full of gold. Today, I can walk to George Williams to listen to the Music By The Lake series, an outdoor lakeside venue where you’re just as likely to hear Some Guy And His Trumpet as you are Tony Bennet or Peter Frampton. The campus has been revitalized, completely and entirely, and I believe you can still get ice cream somewhere. 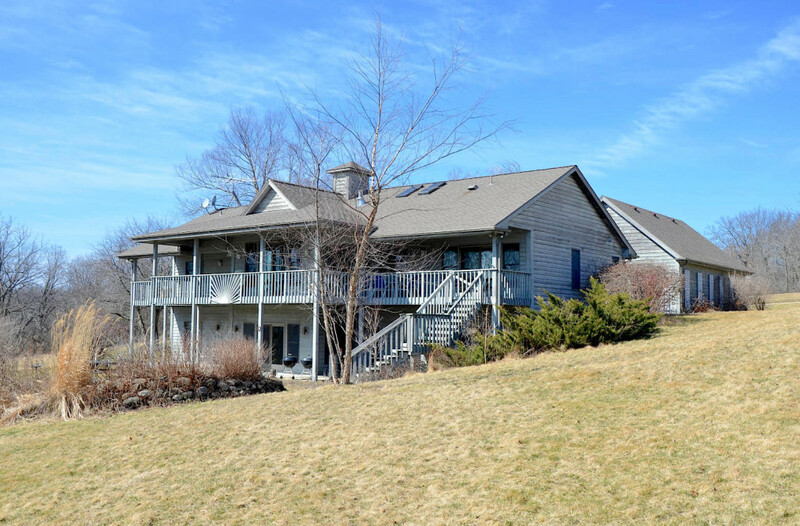 My new lakefront listing at 138 Conference Point Road is close to both of these newly reborn attractions, an easy flip-flopped stroll to either, within minutes. Think that’s not important? Try strolling to restaurants and musical venues from most lakefront homes- you’ll find the task nearly impossible. 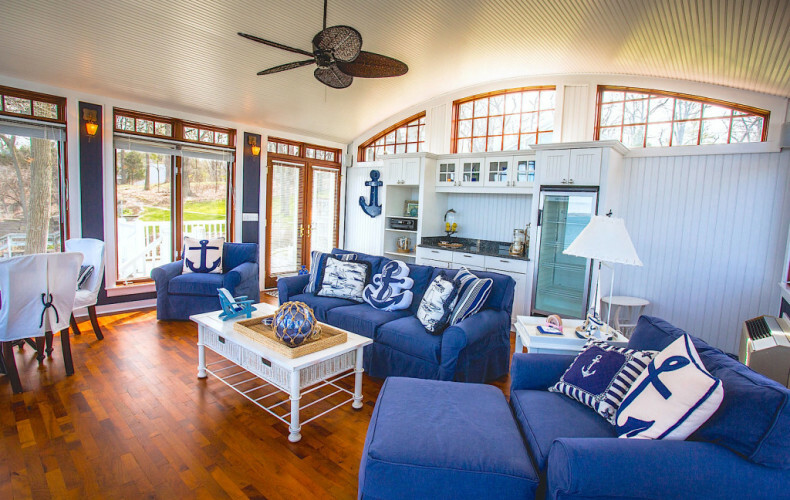 The house has 103′ of frontage, a large two slip, canopied pier, and a very well maintained three bedroom ranch with a two car attached garage and a walk out lower level. But it’s less about the house here and more about the views. I’ve sold many lakefront homes with fantastic lake views, but the general rule here is that the better the view, the higher the frontage. The reason is obvious. The magic of 138 Conference Point is that the frontage is gently sloping, nearly level, and yet the lake views are absolutely second to none. The views are to Cedar Point, Black Point, Majestic Ski Hill, and points beyond. It’s a peninsula view without the peninsula, it’s tree top view without the hike. It’s a perfect view and the view, house, 103′ of frontage, and the two fireplaces are yours for $2.385MM. There are many reasons to frequent this blog. If you wanted to know what my latest hobby is, for instance. How else could you know? You could call me and ask, but what a ridiculous precedent that would set. After all, the internet was invented to connect us without forcing the awkwardness of connection on us. 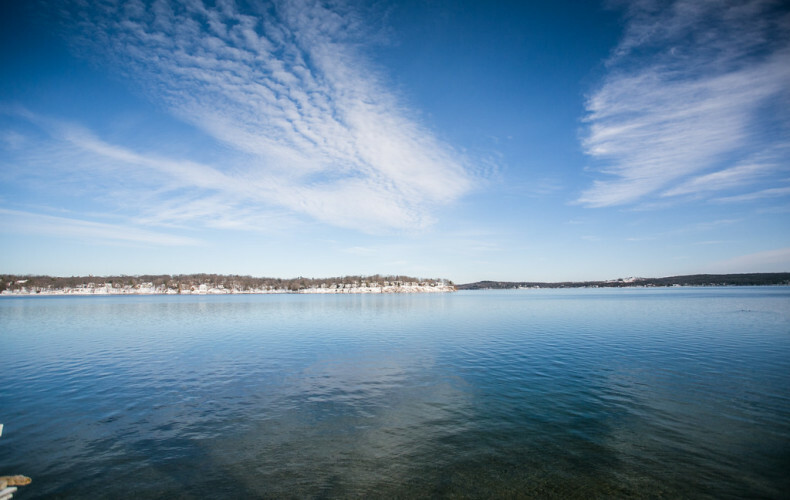 You could read this blog to understand the Lake Geneva real estate market, to know the nuanced movements of pricing and to dispell the concept that every home is a value, every sale a good one. That’s probably the primary reason to read this blog, though if you’ve been reading along for a while you’ll know that maple syrup season is upon us, which is followed closely by morel season. Still, the markets. Today, there is no talk of skiing, or of fungus or of fish. Today, just new inventory for you to peruse. One of the terrific things about private frontage is that every variety of private frontage is generally good. Now, there are good spots and bad spots, but even the bad spots on Geneva are better than the good spots everywhere else, so that’s somewhat of a nuance. The other thing about private frontage is that it’s varied. Some lots are wide, others narrow, some deep others shallow. There is no pattern to the frontage until we confine certain types of properties into segments. If we’re talking entry level lakefront homes, we’re talking about smaller lots (60′ or less) and we’re talking about neighbors. Lots of neighbors. That’s the location of my new listing on South Lakeshore Drive. It’s a five bedroom modern house listed at $1.395MM. It sold for $1.515MM in 2007, and it’s rather nicely updated with new bathrooms and a very flexible layout. It has a slip on a pier that is share by only seven total owners, and this house functions as the lakefront house in the association. But that’s not what’s especially rare here. Consider the proximity to the neighbors, and the quality of the neighbors. To the East, Casa Del Sueno, to the West, a fabulous newer build on a massive lakefront lot. This is a setting that is, quite literally, unavailable to any other entry level home anywhere on this lake. It’s special. I’ll be available to show this home this weekend, so just ask if you’d like a private tour. I’ll be skiing tonight, but you didn’t read this blog today to find out about that. You read this blog today to find out about this listing before the rest of the world new about it. You’re welcome. My kids like to make time-lapse videos. Some people make time lapse videos over the course of an entire day. The sun comes up, quickly, then it moves across the sky, quickly, and then it sets, quickly. It’s a full day, quickly. My kids don’t make time-lapse videos like that. They make ones that last a few seconds, that feature them doing such interesting things as standing still, or sitting at the island counter. Their videos are terrible. I’d like to see a time-lapse video of the lakefront on Geneva, say, over the period of the last 20 years. It would be fun to go back 100 years, but also very depressing, as grand old homes were razed to make room for subdivisions and associations. If we did have that 20 year video, we’d see new construction abound. All varieties, some small and some large, others monstrous. We’d see large homes wedged next to small homes, and small homes delicately crammed next to large homes. We’d see all sorts of things, and in the haphazard nature of it all we’d see uniformity. The magic of Geneva is found in this mix. Old and new, small and large, alternating along the shoreline. But one thing is certain- if we had our druthers, we’d position like kind homes next to each other. We’d have sections of the lake where estates rule the day, and we have that on Snake Road. We’d have areas where large lots rule, with large homes and estately prices, and we have that on Basswood and North Shore Drive. 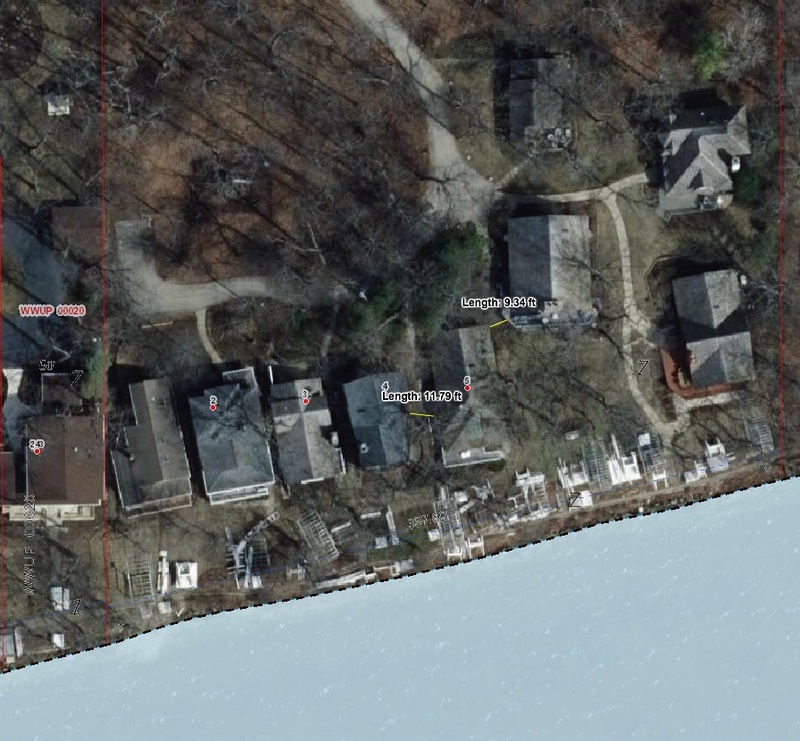 We’d also have a tidy, dead end lane where large lakefront homes are spaced well and appropriately, where one new home is not out of place next to another. We have that in Loramoor, and today, you have an opportunity to join that most exclusive lane. Enter Loramoor Lot 7, the obvious solution for any house hunt that finds a buyer seeking new construction in the $4MM or less price range. I sold this lot a year ago. There’s no secret in that. 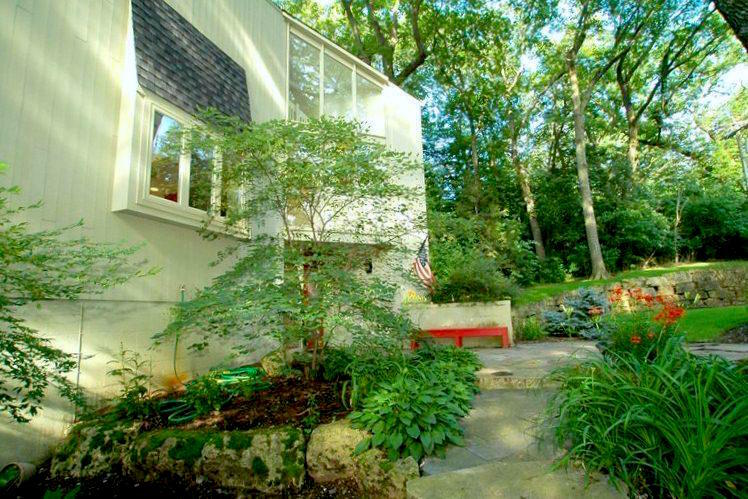 I sold these 110 level front feel to a buyer who simply couldn’t find what they desired in our existing home market. We have a noticeable absence of quality homes in the $3-4MM price range. We have plenty of nice properties, terrific lots with old, bad houses, or terrific houses on sub-standard lots. In this parcel, the buyer found what they wanted in the existing vacant land, and knew they could build the exact lake house that would scratch all of their weekend itches. At 1.43 acres in size, the lot is larger than similar properties that have sold in the last few years as tear downs, and since it was already vacant there would be no added cost involved with deconstructing an existing home. The property was perfect, and unlike others in this range, it is surrounded by ample homes of newer birthdates, very obviously a secure location to add value in a new build. Compare this to a vacant lot in the $2MM price range that’s located next to smaller, lesser priced properties. It makes more sense to have a $3.75MM house next to other houses of equal or greater value and here, in Loramoor, we have that. 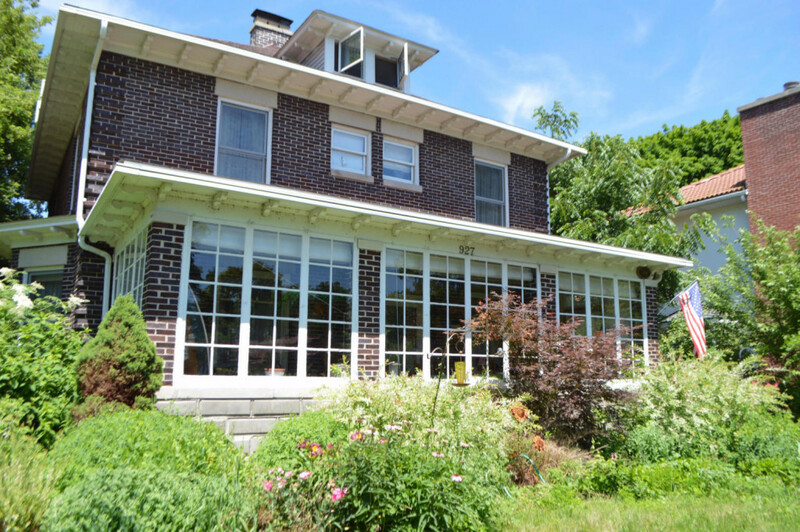 The buyer set about permitting and planning, but when a childhood home was available for purchase, the pull of that powerful nostalgia was too much to resist. The Lake Geneva dream would have to wait, and it’s for that reason that I offer you this wonderful parcel for $2.34MM, available today and ready to build your own dream home on without delay. 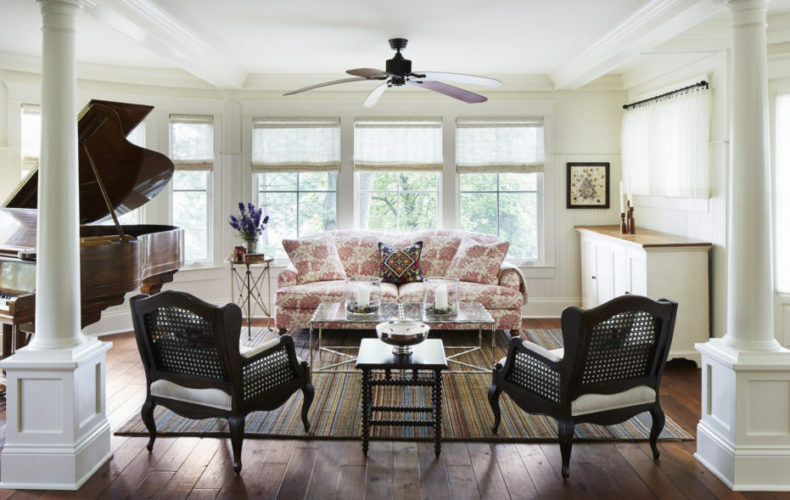 The owner has been working with Scott Lowell to design the perfect lake house, and to the right buyer we can include those plans. A sneak peak of the elevation is above, and while you’d be well served to build this home on this beautiful lakefront parcel, you’re free to design your own if you so desire. 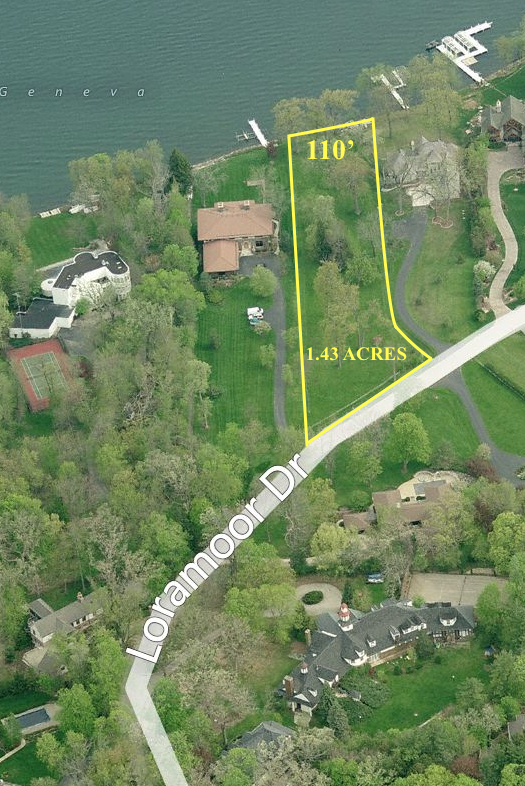 You can buy 100′ lakefront lots on this lake with some routine between $1.9MM and $2.5MM. These lots will host older, lesser homes, and if you like the older home and intend solely to remodel it, then you’ll be making a wise decision. But all too often these older homes are sold and torn down, and in that we must consider our surroundings. If you build a $2MM home on a $2MM lot, and you’re surrounded by $2MM built homes, do you suppose that’s usually a terrific idea? Of course not. There’s safety in building in a neighborhood with a proven tendency to support your target value, and that’s why this Loramoor lot is better than the others in this price range. There is no association immediately adjacent, no shared driveway, no sloped frontage or rough landscaping. 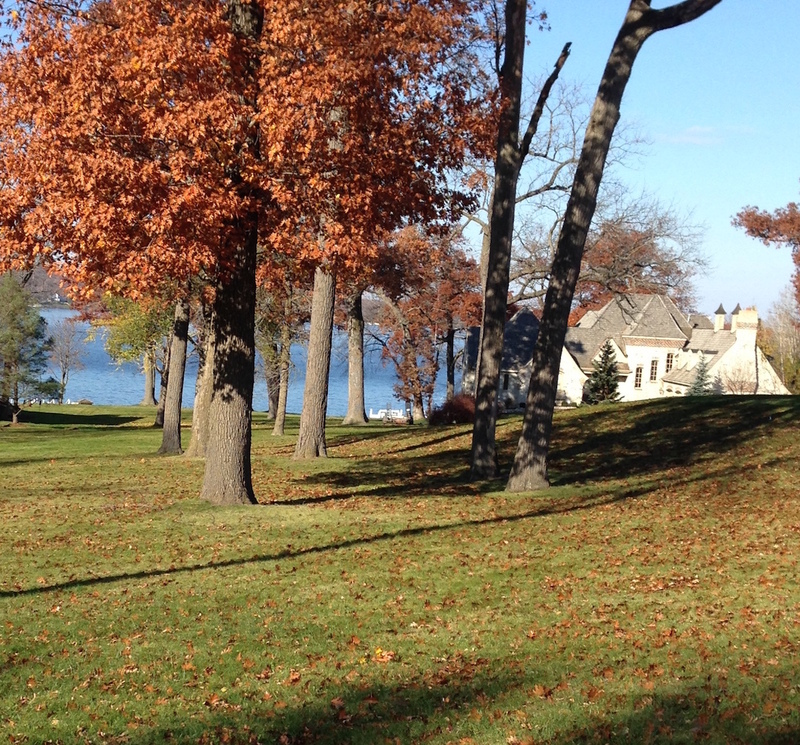 There is only a beautiful canvas, grassed and treed and ready to host your lakefront vision. At $2.34MM, there’s value here, and if you’re a buyer in the $4MM range you owe it to yourself to consider this parcel as your first, and finest option.